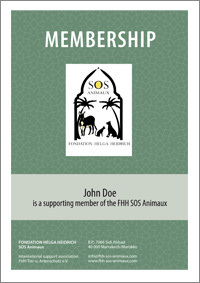 We are happy about every new member who supports our projects and our work at the Sanctuary. With a donation of 60 € per year you give us big support in our work so that we‘re able to plan ahead and save animals‘ lives effectively. If you want to become a supporting member, please fill out the form.